We are craftsmen. We take pride in our work and aim for perfection in everything we do, never cutting corners. We carefully consider every visual element of our designs, down to each pixel. Our interfaces are finely tailored to the unique needs and attributes of each project. Whether in an email to our clients or on their home pages, we craft our language with clarity and precision. Even our code, running silently and thanklessly behind the scenes, is a work of art. Yet never in our obsession with the details do we lose sight of the ultimate purpose: delivering a finished, working, useful product—and delivering it on time. Call us pragmatic perfectionists: We find joy in the artistry of our work, but what we enjoy even more is creating something that helps you achieve your goals. 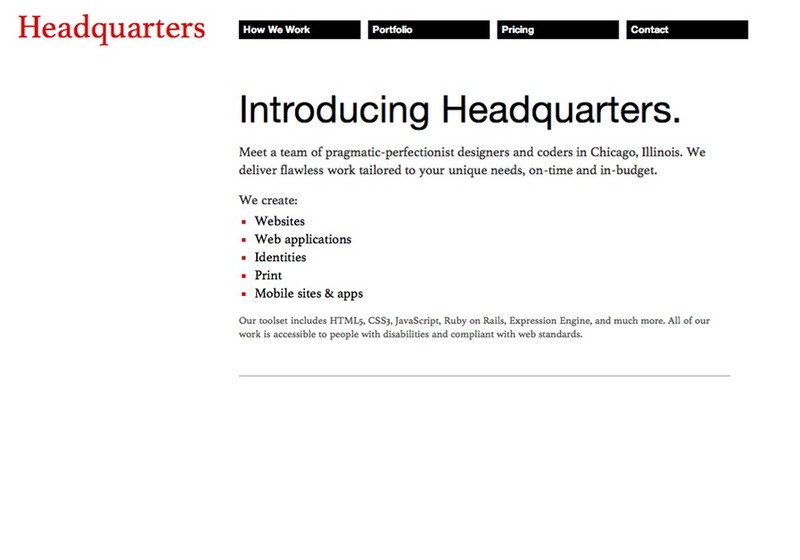 Meet a team of pragmatic-perfectionist designers and coders in Chicago, Illinois. We deliver flawless work tailored to your unique needs, on-time and in-budget.